Second station dual engine ignition panel. 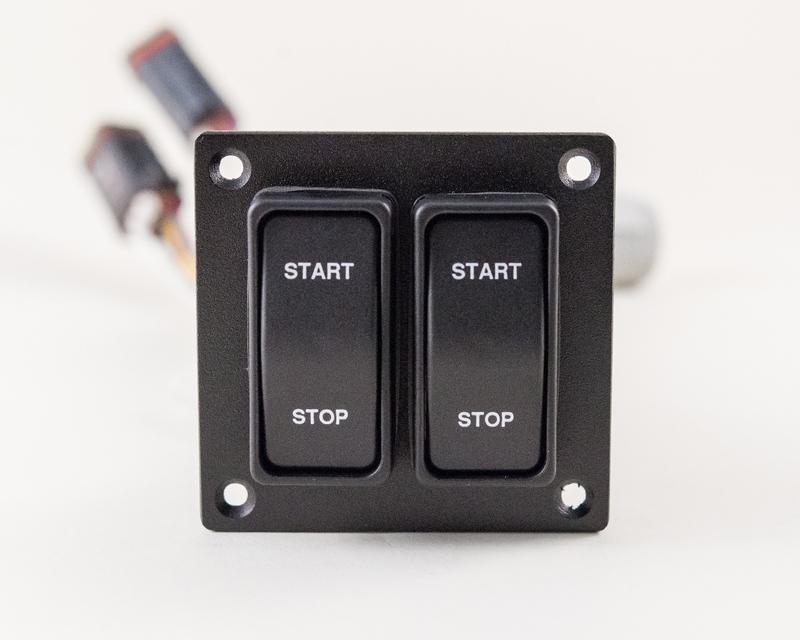 Rocker switch design provides engine start and engine stop signals for both port and starboard engines. Used with M200 Engine Monitoring System to provide second station engine start / stop capability. Must be used in conjunction with M200 main station ignition panels.